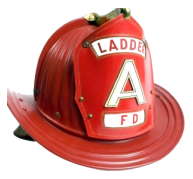 The Indiana Fire Instructors Association, Inc. was established in 1948 at Purdue University by an ad hoc group of fire department training officers and instructors. It was originally the Indiana Certified Fire Instructors Association. The IFIA is a non-profit corporation under Indiana statutes and accepts membership from anyone actively engaged in instruction related to Fire Prevention, Fire Protection, Fire Safety and Public Fire Safety Education. This involves career, industrial, volunteer firefighters and educators. The IFIA is also a full service bookstore, where you can order any of your training and educational books. Copyright © 2019 IFIA. All Rights Reserved.